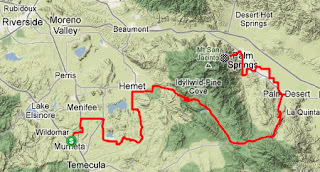 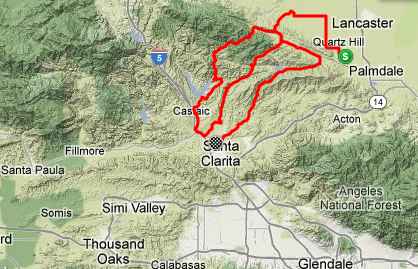 KEY FEATURES: Riders rode through Temecula Valley wine country, climbed up the San Jacinto Mountains to the hamlet of Idyllwild, finished up the Tramway Road climb to the Palm Springs Aerial Tramway parking lot. 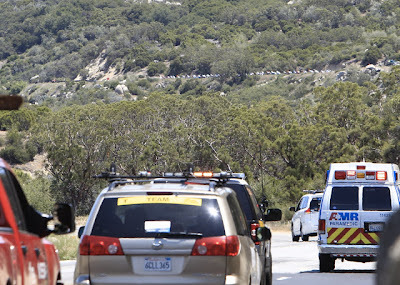 The last 3.8 miles gained 1,880 feet of elevation (average over 9%) – "one of the toughest climbs anywhere". 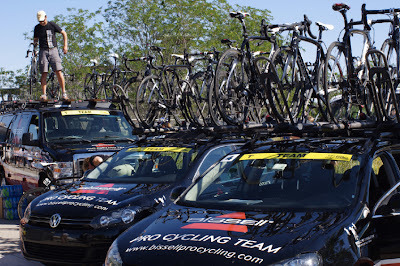 How do they do it? How do they keep cool? 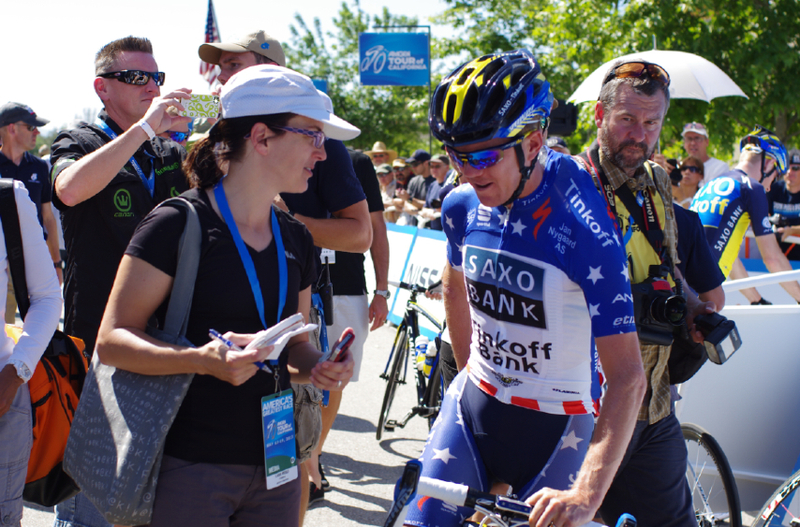 Today Willie and I were both at the start in Murrieta, we had fun spotting riders near the team buses and at the sign-in stage. 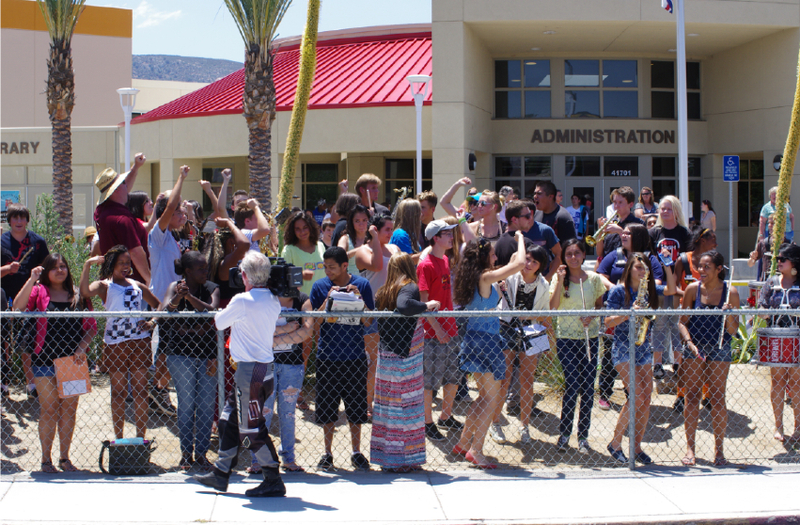 We then split up, I headed to the Sprint at the High School in Hemet where I was entertained by the High School Marching Band and dancing students excitedly waiting for the sprint. Willie went to the climb near Idyllwild. 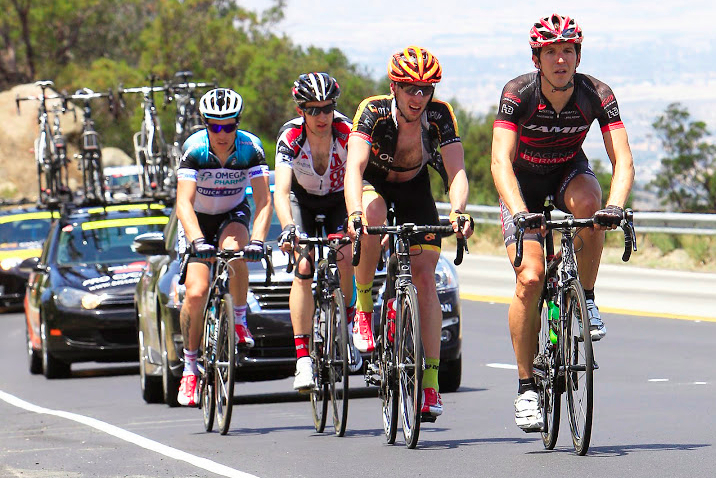 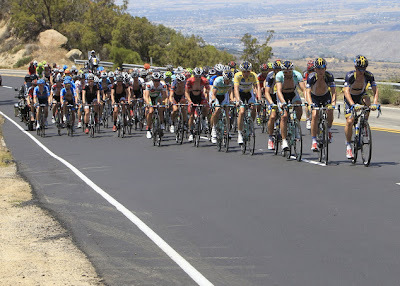 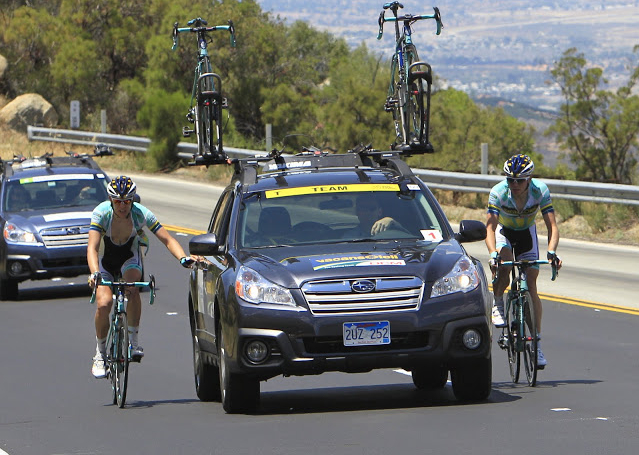 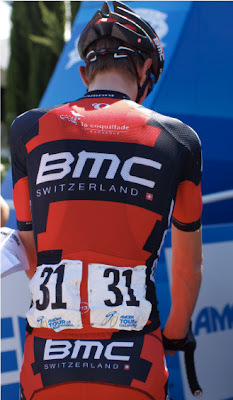 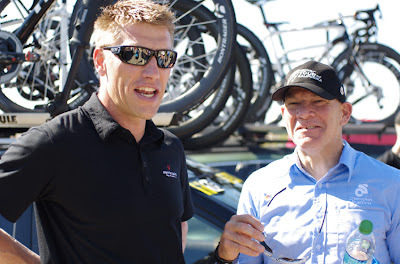 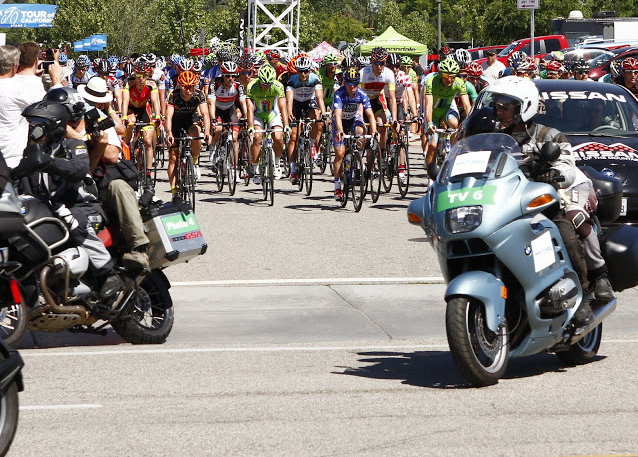 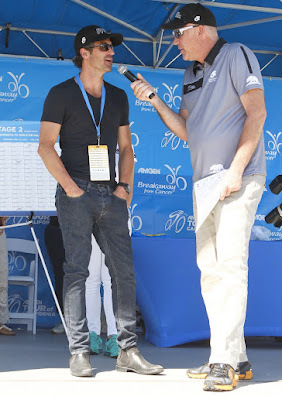 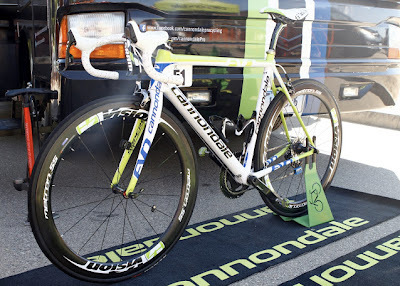 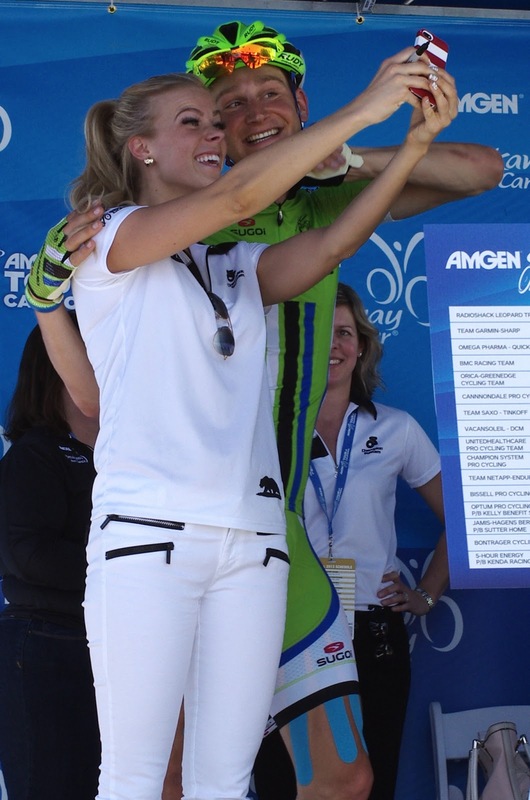 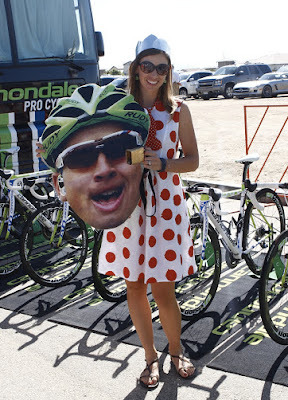 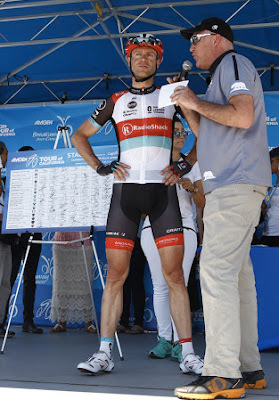 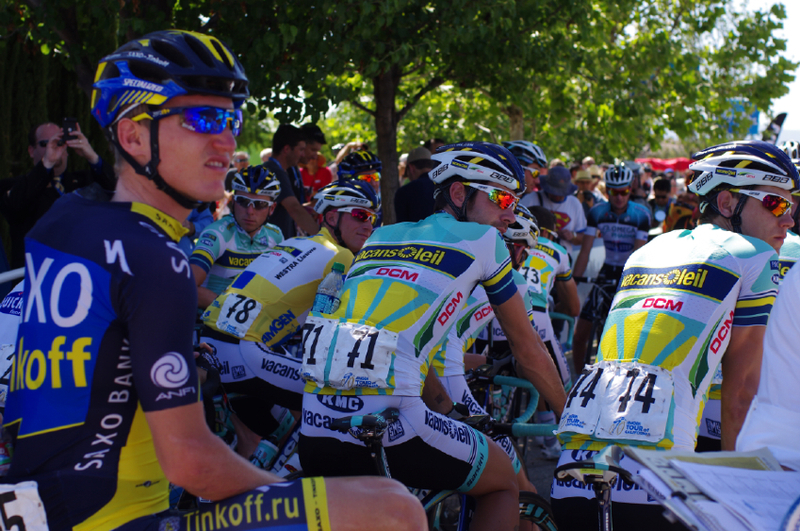 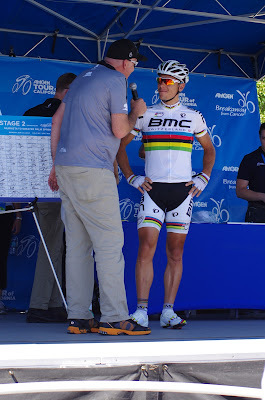 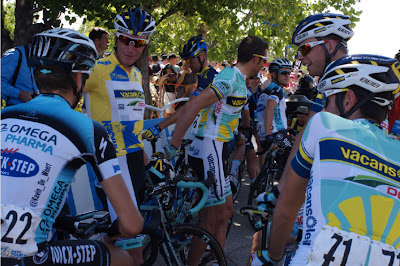 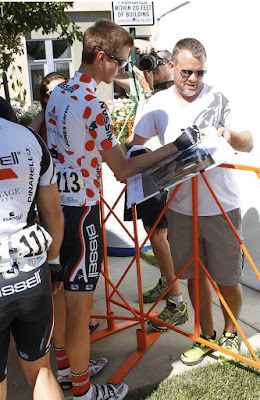 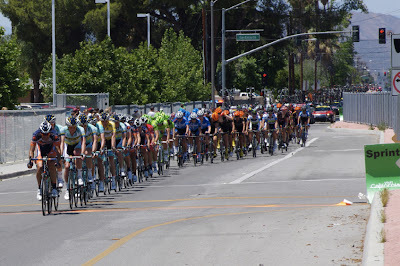 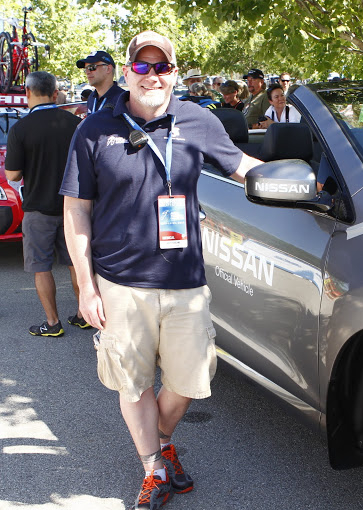 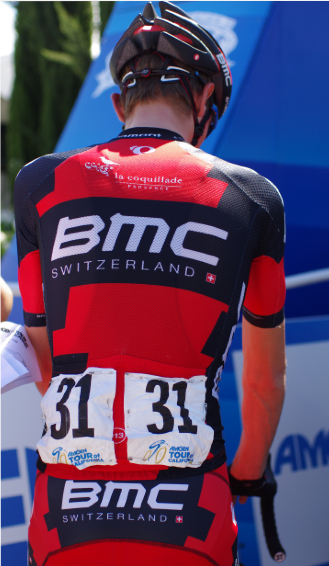 Here is a link to Willie Reichenstein's album of photos from stage 2, Amgen Tour of California: Murrieta - Palm Springs. 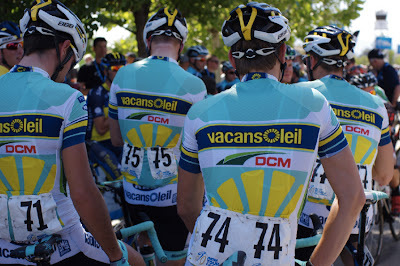 Wesley Kreder and Kris Boeckmans of Vancansoleil.